While the rest of India is rapidly developing, westernizing and modernizing, Ladakh has managed to preserved its traditional, eco-friendly, and almost ancient way of life. Unfortunately, change is coming quickly to this Himalayan utopia mainly due of tourism and global warming. Yes, I am equally guilty but I tried to do my part and left as little impact as possible. 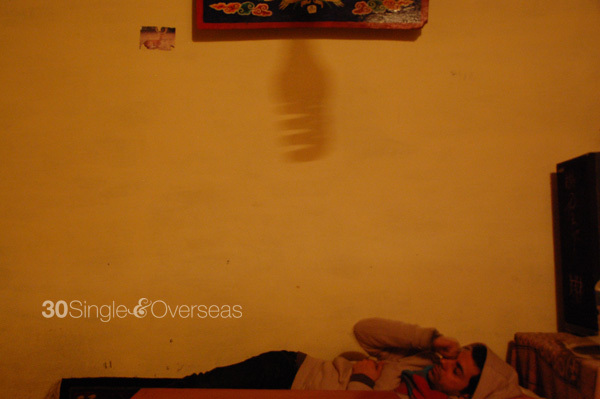 "A" and I stayed at a home stay in a small village called Ang. 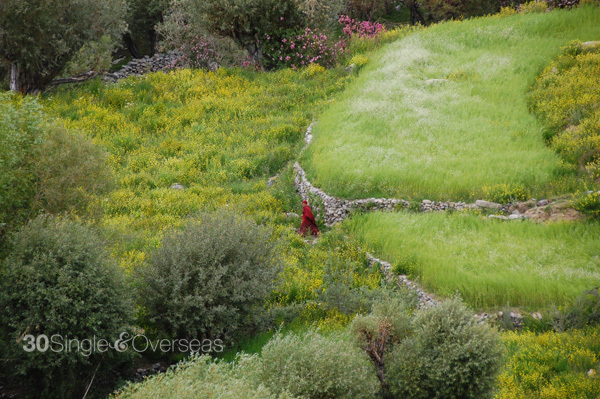 A Buddhist monk walking through the farms in Ang village. We stayed with Tundup, who fortunately spoke Hindi so "A" (and occasionally I) connected well with him. 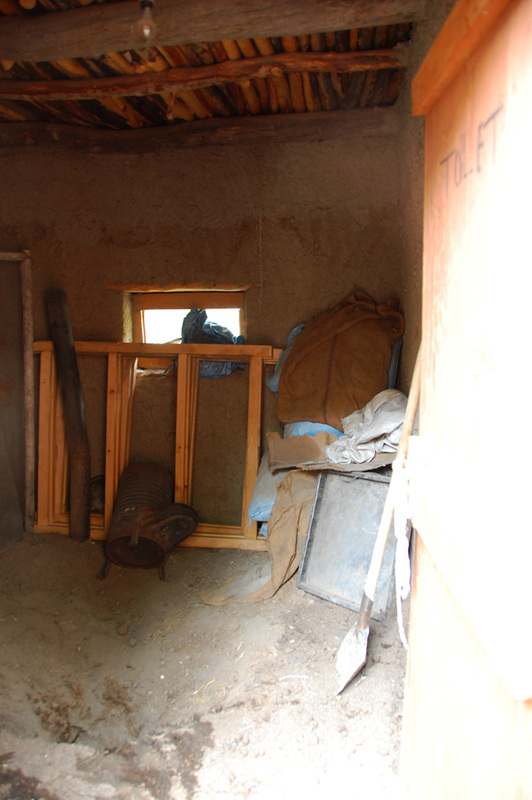 Here is his traditional mud-brick house and farm. All vegetables and fruits grown here are done organically because that's the only way he knows how to. A bee (check out its coat!) 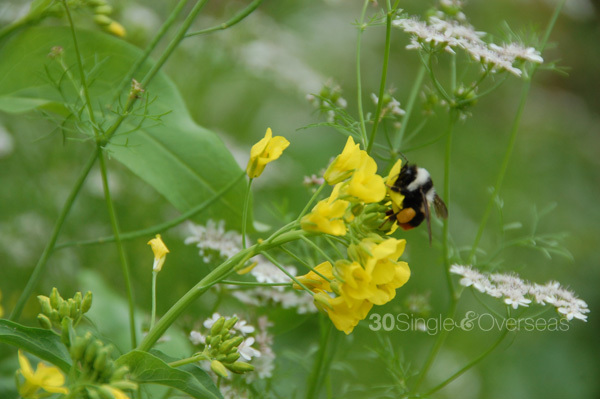 looking for nectar from this mustard plant at Tundup's farm. This is the toilet in the house, situated on the 1st floor (or 2nd floor if you are in the USA). There's a hole on the ground in the middle of the room, and the rest of the room is covered in loose soil. Poop collected on the ground floor from the toilet hole is then put back into the farm as fertilizers. Cool, huh? 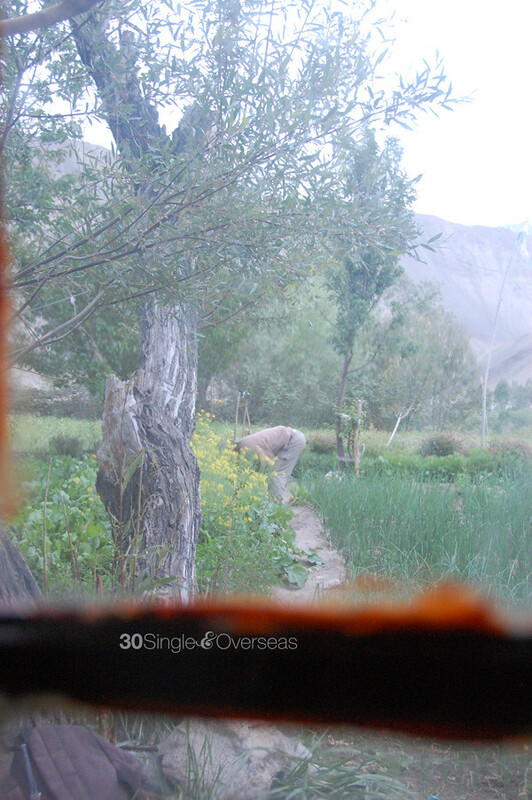 Tundup's wife was on her way to Nubra Valley (about 2 days away from Ang village) to listen to the Dalai Lama speak. His neighbor came over to help milk the cow, and I helped (or tried to). It wasn't as easy as it looks! Milk from this cow was used in our tea, to make dahi (curd) which was then made into paneer (cottage cheese) and then the paneer was dehydrated and added as an ingredient to thukpas. 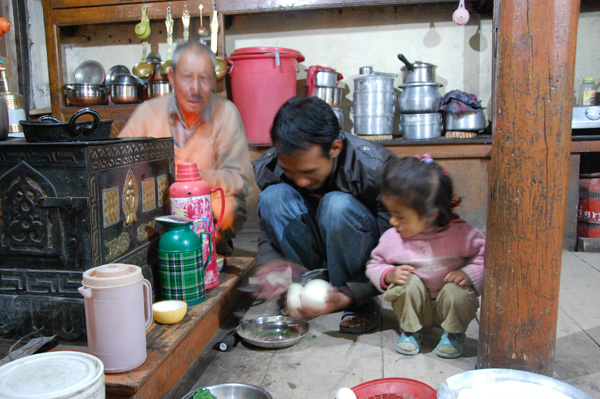 In a traditional Ladakhi house, the kitchen is also the living room. 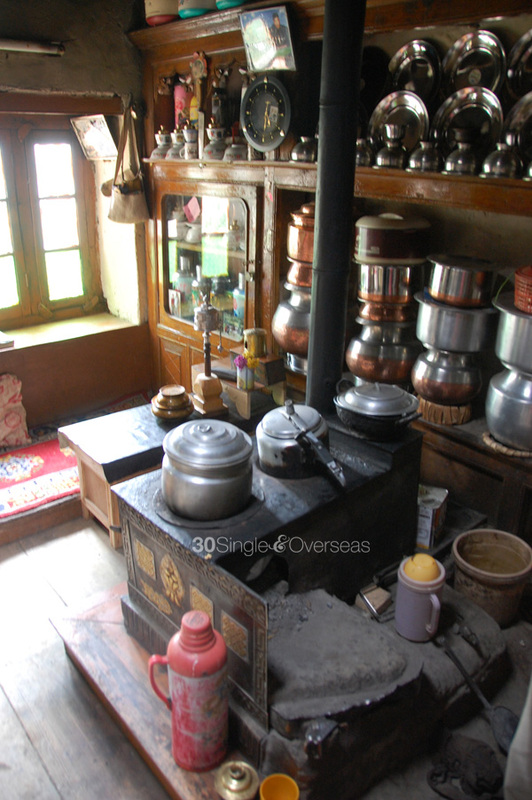 This ancient-looking stove is not only used to cook thukpas and momos but also used to provide heat to the room during winter. Dried cow dung, twigs and sticks were used for fire. 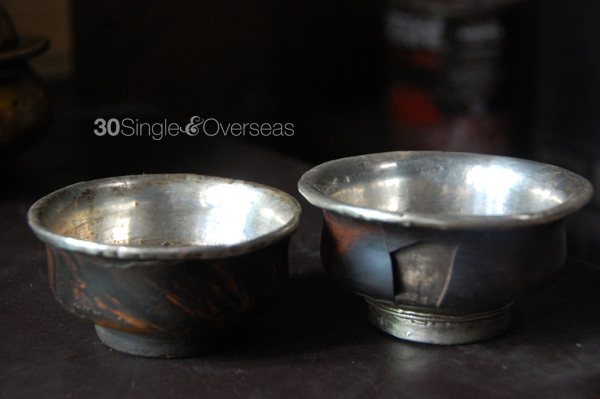 Old drinking bowls passed down from Tundup's grandfather. 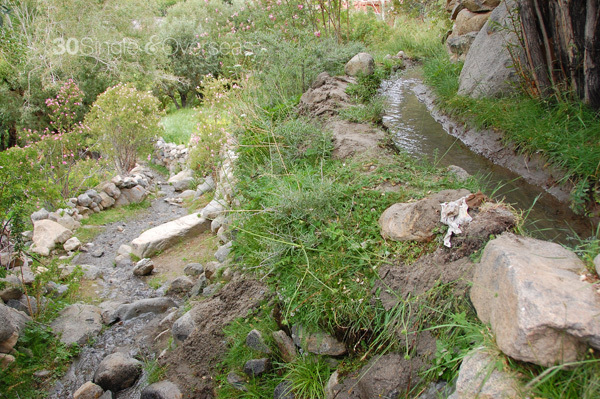 The only water source comes from the river. Here's a self-made aqueduct that Tundup build to provide water for his farm that also runs through his house for drinking and washing. For dinner, Tundup picked some fresh vegetables from his farm. The whole family was involved in the cooking process, including his little grandchild. Delicious homemade thukpa. 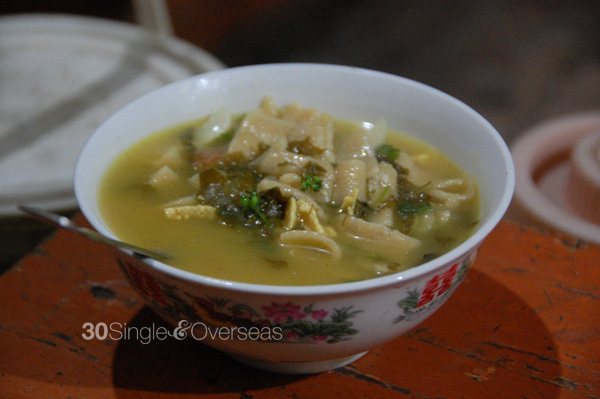 Click here for a Ladakhi homemade thukpa recipe. 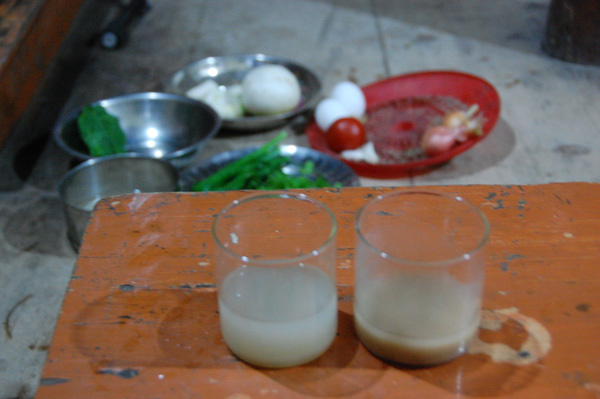 This here is chang, a Ladakhi homemade alcohol made from barley. Considering how it was brewed at home, and having experienced some home-brewed alcohol myself, I was surprised by how smooth it went down. It has a subtle taste with a bit of a sour aftertaste. We had a choice of adding roasted barley powder into our chang, which I did (the glass on the right). According to Tundup, this concoction used to be fed to little children when they had stomach aches. And for evening entertainment, play with the family baby. Here is "A" giving an iPhone introduction to Tenzen, Tundup's two year old granddaughter. 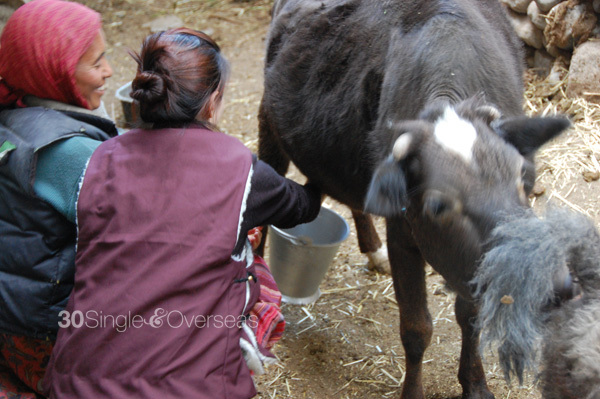 Our room is situated right above the lhas, which is a room where farm animals are kept. Electricity is only powered-on to the village between dusk to 11pm, so by 10:30pm, everyone crawled onto their mattresses and waited for the lights to go off. 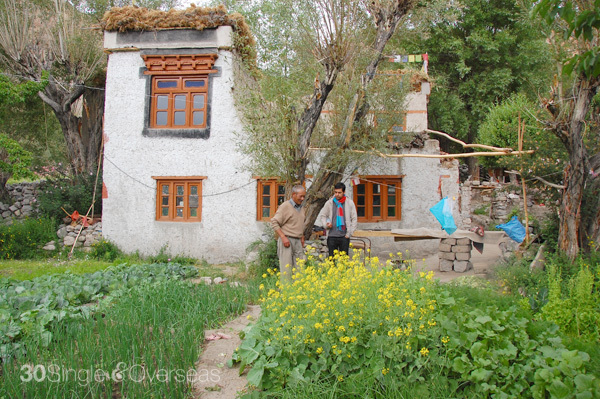 Click here to learn about Eco Friendly Living in Ladakh. Click here for more pictures taken at Ang.